Seventy-five percent in, and I feel how I have misjudged it in what I wrote, for at some point since then I tipped over into the point at which fiction resembles magic. I no longer see Tolstoy’s little tricks, how he’s pulling the reader’s strings, but am simply being pulled by them. I’m utterly beguiled; I’ve forgotten I’m reading in translation. All I feel is how it’s all becoming deeper and somehow stranger and at the same time solid and real. What Levin and Kitty and Karenin and Vronsky and Dolly and Stiva and all the minor characters, too, are thinking and feeling has somehow taken up residence in my heart. This is is what fiction ought to be, and so rarely is. I was thinking about one-third in that everything important had happened already, but that is primarily because I had forgotten so much about the middle section: Levin’s wedding, for instance. The part where Vronsky takes up painting and we are given a view of the uneasy disdain with which he is viewed by the real artist they meet in Italy, who loves looking at Anna but basically despises the whole lot of them. The entire character of the mincing yet good-humored Vassenka Veslovsky, who irritates Levin so much by his flirtatious behavior with Kitty that he throws him out of the house without explanation. The morally ambiguous Stepan Arkadyevitch, who is connected to everyone, convincingly charming, yet somehow, one cannot help feeling, rotten at the core. Hello. Thanks for this article. I really like the way you write. I am an constant reader of this site and also a bookaholic. 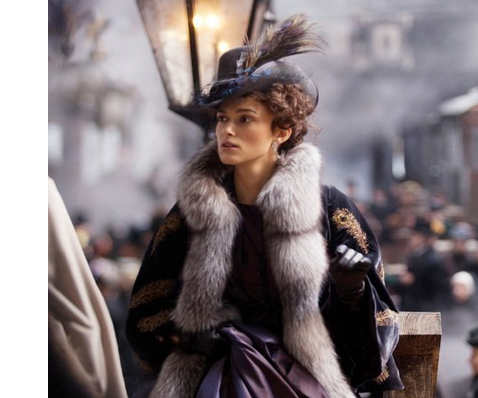 In this moment i read http://justreadbook.com/book/357922625/anna-karenina-oprah-5 but i like every genre. I recommend everyone to read it. From drama to thriller i adore to read all i can. Books are a super way to spend your time.